Stock Market Sectors, Does Anyone Win With an Interest Rate Hike? Matthew Carr writes: Editorial Note: It’s the big moment investors have been waiting for. As we write, the Fed is meeting to decide if it will raise interest rates for the first time since 2006. And while there won’t be any official announcement until Thursday, folks are understandably on edge. But should you be? We asked Matthew Carr to do what he does best - to sift through decades of market data and uncover the real effect of rate hikes on stocks. We hope you enjoy his commentary. And afterward, if you’re still worried, click here to see how our Chief Investment Strategist Alexander Green is preparing Oxford Club Members for the end of the bull market. And, of course, the Federal Reserve possibly raising rates. It’s a lot for investors to take in. And uncertainty is always the biggest weight on market performance. We’re dealing with a myriad of possibilities right now - but few realities. So let’s just deal with the most pressing issue and what it might mean for investors: the Fed rate hike. 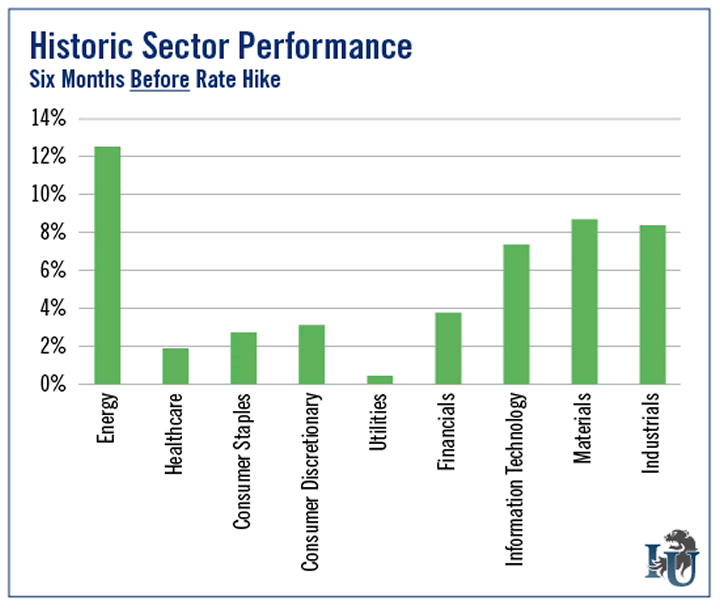 Back in April, I wrote a piece about the best-performing sectors of the market during the six months leading up to a rate hike. Not surprisingly, everything is in the red. But the top-performing sectors - as judged by their respective sector ETFs - have been Consumer Discretionary (XLY), Healthcare (XLV), Financials (XLF) and Technology (XLK). All four, as well as Consumer Staples (XLP), are outperforming the S&P 500, which means that, at this point, they haven’t lost as much in the last six months as the broader market has. But that hasn’t been the case this year. 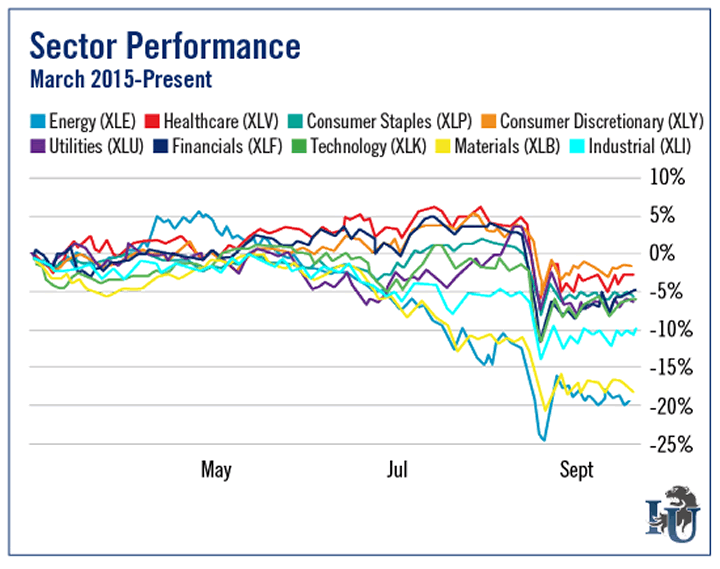 In fact, Industrials, Basic Materials and Energy are by far the worst performers. The collapse in crude and the strengthening U.S. dollar, as well as slowing demand from China for a broad spectrum of resources, has gutted these sectors in 2015. The current situation is outside the norm. The closest comparable in recent years is 1994. I find that fascinating because of the parallels unfolding today and the Fed rate hike during that year. We had a recession in the early ‘90s. We had the largest Asian economy at that time - Japan - slowing. Another similarity? China devalued its currency. And the U.S. Fed raised rates to stem inflation - which led to a stronger dollar. All of this ultimately culminated in the Asian financial crisis of 1997 to 1998, as well as the “Russian Flu” that unfolded in August 1998. Fast-forward to this year. Asia’s largest economy is slowing. And it’s interesting that in August, China’s currency had a surprise devaluation with a Fed rate hike looming. 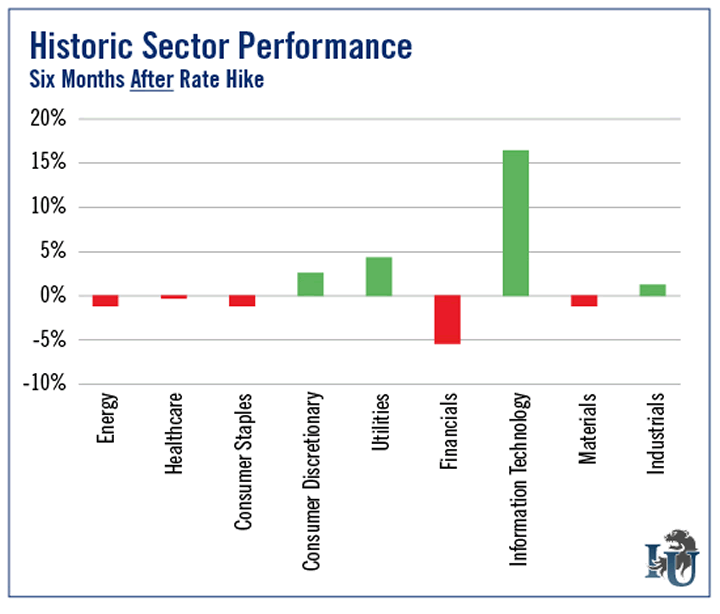 Now, historically, in the six months following a rate increase, these have been the best-performing sectors: Consumer Discretionary, Utilities, Information Technology and Industrials. As you can see, Information Technology is strongest, gaining an average of 16.12%. At the same time, Energy, Healthcare, Consumer Staples, Financials and Materials all struggle. When the Fed raises rates, it typically strengthens the U.S. dollar. That’s bad news for commodities priced in greenbacks (crude, gold, raw materials, etc.). So that makes the possibility of a rate increase even bleaker for the Energy and Materials sectors. 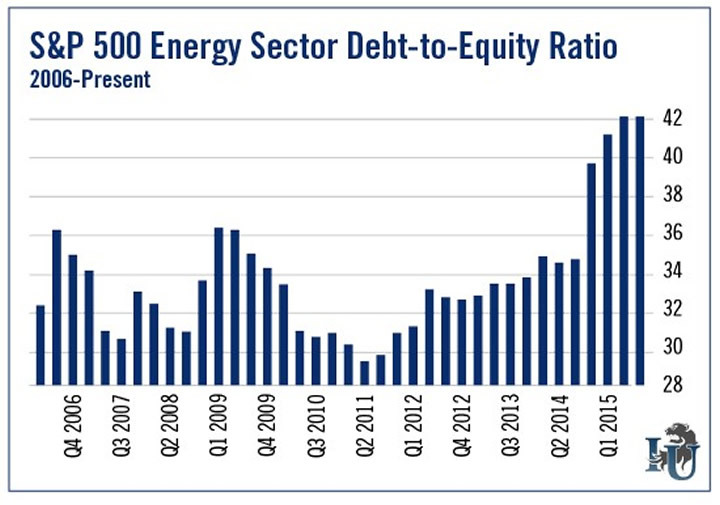 On top of that, the energy sector currently has about $200 billion in high-yield debt. That’s up more than 200% from $65.6 billion in 2007. And bonds issued by oil and gas companies globally are up 10% over last year. Think that’s bad? The S&P Basic Materials index has a current debt-to-equity ratio more than double that of the energy sector. So, it’s hard to imagine the situation for these companies improving in the short term. Technology still seems to be the best bet, with the Nasdaq the only index positive so far this year. And consumer discretionary is good - especially as we head into the holiday season. Up until August, the markets were at least flat for the year, with tech and biotech stocks on the Nasdaq performing fairly well. But there were too many unknowns that came to a head in the past month and the market crumpled under the pressure. Will the Fed raise rates this week? No one is certain. Brazil and Russia are in recessions... China is still growing, but at a slower pace... commodity-dependent economies around the world have been bruised by lower crude prices and the stronger dollar. Considering all these factors, I could see a rate hike being put off. But we’ll know for certain tomorrow. But until more of these unknowns become knowns, the markets should remain a wild ride.